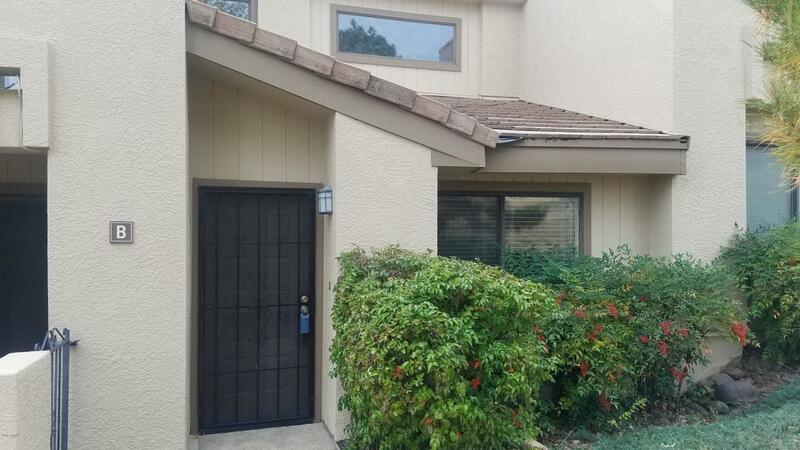 Classy little townhome close to airport access for all of your Professional clients. Without the noise!!. Tiled entry, kitchen, laundry and baths. New carpet and paint throughout. Quiet area of the subdivision, just a short walk to the beautiful pool and golf course. Cozy gas fireplace, open floor plan, with a large loft area on the 2nd level would be a great office/media room. Patio off of both bedrooms. Don't miss this class act!! !